Cherry Bekaert Partner Steven Wolf has been appointed as chair of the 2018-2019 Florida Institute of Certified Public Accountants Valuation, Forensic & Litigation Services Committee. Steven Wolf leads Cherry Bekaert's Forensic and Litigation Services practice. Cherry Bekaert, one of the largest CPA and advisory firms in the country, congratulates Partner Steven Wolf, CPA, CFE, ABV/CFF, ASA, on his appointment as chair of the 2018-2019 Florida Institute of Certified Public Accountants (“FICPA”) Valuation, Forensic & Litigation Services Committee. Wolf previously served as a member on this committee, in which he was vice chair in 2017-2018. As chair, his leadership responsibilities include planning and presenting a two-day conference that is attended by an estimated 200 CPAs and other financial professionals each year. The committee chair also plays an influential and integral role in shaping the future of the profession. With 30 years of professional advisory experience, Mr. Wolf leads Cherry Bekaert’s Forensic and Litigation Services practice. He specializes in matters involving complex litigation, business valuation, investigative, and transaction advisory services. 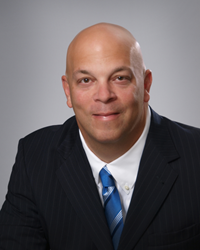 He has been recognized as an expert in forensic accounting and business valuation matters.